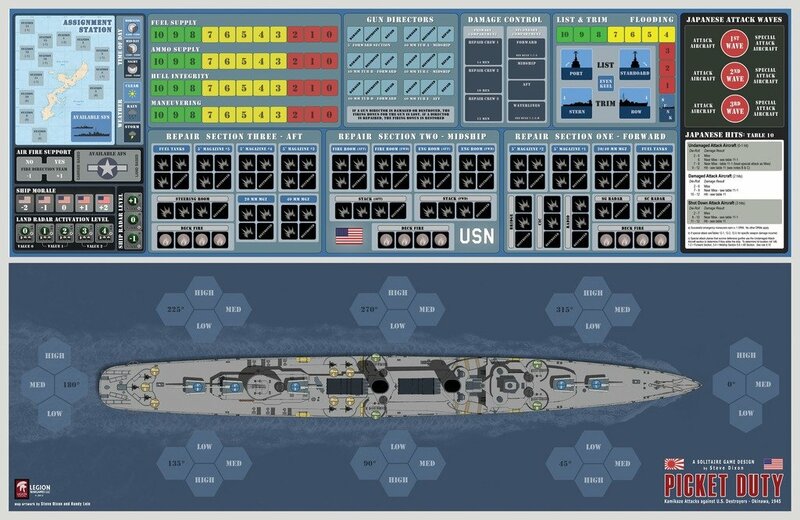 By the time of the invasion of Okinawa in April 1945, the US Navy devised a plan to help ward off the expected kamikaze attacks during the battle for the island. 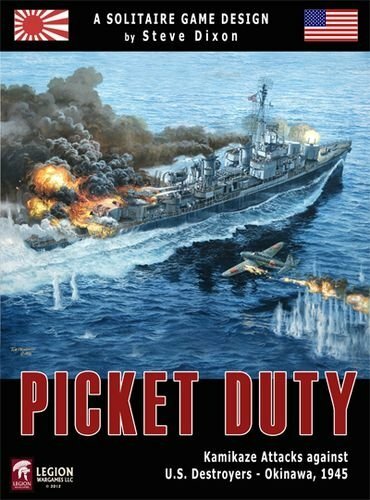 In order to provide an early warning system for impending kamikaze attacks, the US Navy established 16 radar picket stations around the island Picket Duty is a solitaire game where you - as the captain of a Fletcher Class destroyer - fend off kamikaze attacks while performing picket duty off Okinawa. 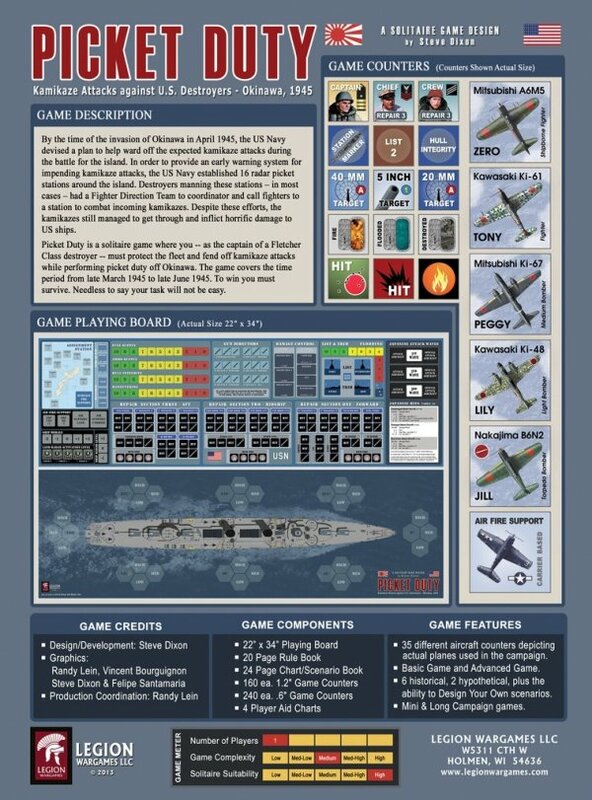 The game covers the time period from late March 1945 to late June 1945. Your goal is simple - survive. The game comes with a basic game, advanced game, six historical scenarios, two hypothetical scenarios, a mini-campaign and a full campaign. Optional rules are also included. Each game turn is divided into three phases, each depicting an eight hour period. 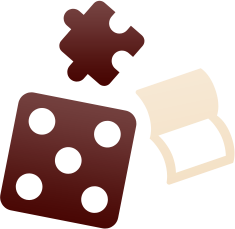 Key crew members are depicted with certain functions, as well as damage control teams. 35 types of Japanese planes are depicted on whopping 1.2" square counters . 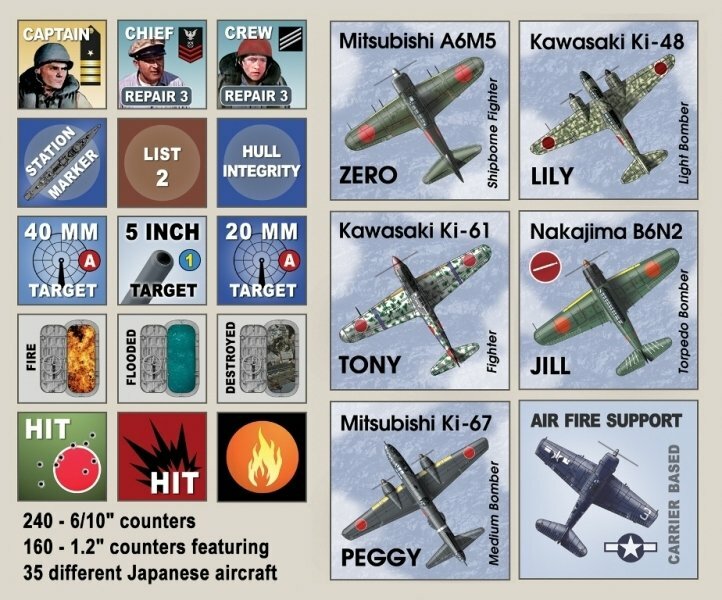 Game features include: Weather - Damage Control - Ammo and Fuel Consumption - Ship Trim and Listing - Land and Ship Radar - Air and Surface Fire Support - Ohka attacks, and more.